Ford of Europe saw an 11% year-over-year increase in sales in January within its traditional Euro 20 (Austria, Belgium, Britain, Czech Republic, Denmark, Finland, France, Germany, Greece, Hungary, Ireland, Italy, Netherlands, Norway, Poland, Portugal, Spain, Romania, Sweden, and Switzerland). Sales totaled 107,700 vehicles, a nine-year high. Of that total, 82,200 units were passenger vehicles and 25,600 units were commercial vehicles, with the latter being an all-time mark for the month of January. Passenger vehicle sales rose 8% year-over-year, and commercial vehicle sales increased 21%. Ford’s market share for the Euro 20 gained 0.1 percentage points at 8%; passenger vehicle share totaled 7%, down 0.1 percentage points, while CV market share increased 1.4% to 14%. 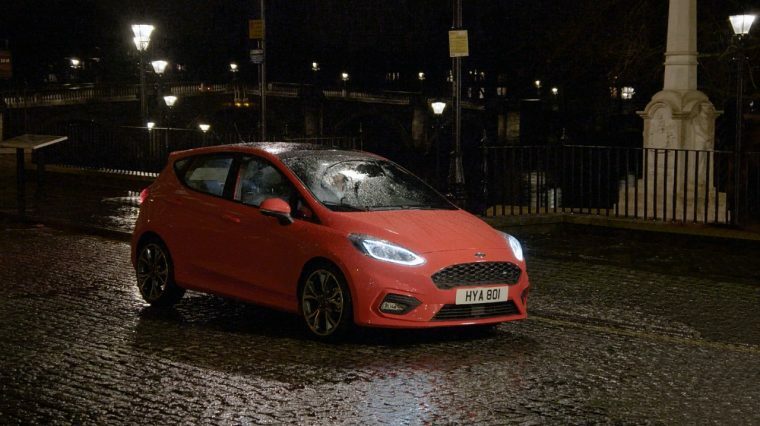 The Fiesta line was Ford’s biggest seller with 24,700 units, up 3,800 units from sales in January 2016. Sales of the Focus line were up 1,900 units year-over-year at 16,600 units, and Kuga sales rose 24% at 9,900 units for its best January since launch. “The new Kuga—which offers class-leading technology, driving dynamics, fuel efficiency, and safety—is off to a very strong start, helping to grow our SUV sales in January by 35%,” said Roelant de Waard, Vice President, Marketing, Sales, and Service, Ford of Europe. Transit and Transit Custom sales totaled 15,000 units, up 16% from 2016 thanks to the increased popularity of the Ford EcoBlue diesel powertrain. Ford’s top five markets for the month in terms of volume registrations were Britain (30,600 units), Germany (19,400 units), Italy (14,100 units), France (9,200 units), and Ireland (6,000 units). In terms of share, Ford’s top markets were Britain (15.4%), Turkey (13.2%), Ireland (13.2%), Hungary (12.5%), and Romania (8.3%).